Living room with Stitch by Stitch Makalu radhi rug. 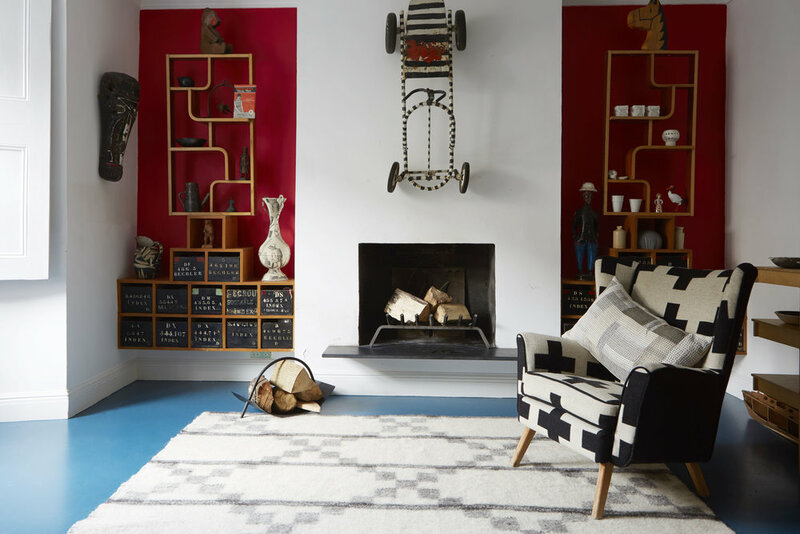 Stitch by Stitch founder Graham Hollick lives in the artistic and vibrant London borough of Hackney on the northeast side of the city. His home is an extension of his personal style, infused with his love of travel, folk art and all things handmade. He lives with many Stitch by Stitch pieces, and mixes these with flea market finds and interesting objets collected during his travels. These images from a recent photoshoot at his apartment are a window on his individual style. All photos by Beth Evans. 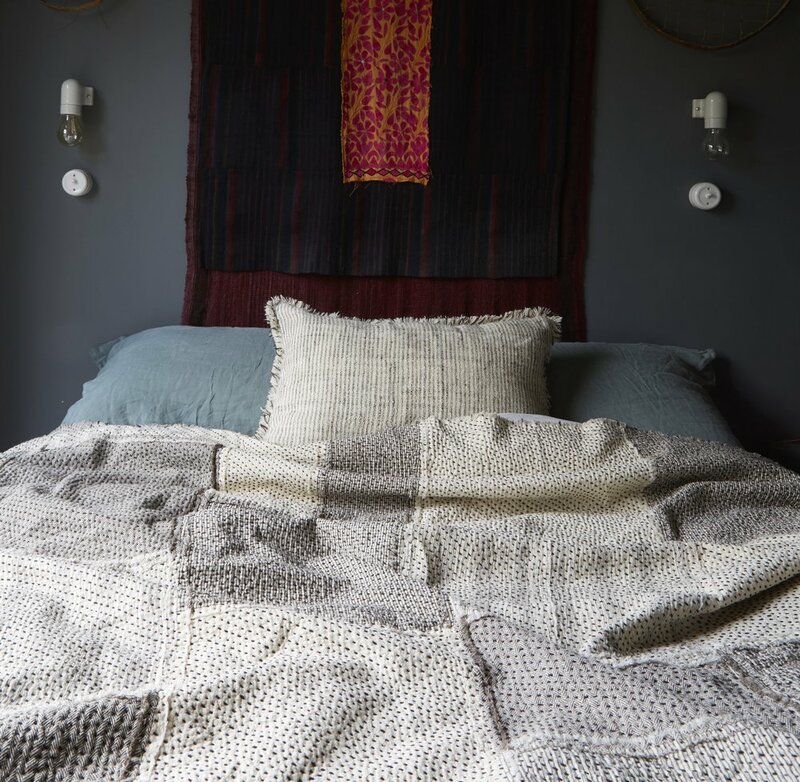 A Stitch by Stitch patchwork Khamir Cubes Quilt in organic kala cotton layered with a Chindi Quilt in one of the bedrooms.